Orchard Blossom Villas are luxury villas in the traditional village of Frenaros, Famagusta, Cyprus. The secluded rural villas offer 8 bedrooms (sleeps 18) and have a private pool. The property is accessed through electric gates and consists of 2 large modern luxury villas each with 4 bedrooms furnished and decorated to a high standard. The two villas sit in spacious grounds which include an orchard and beautiful gardens stocked with fruit trees and exotic plants. They share a large swimming pool 11m x 5m and they are marketed as one unit. For smaller groups of 9 or fewer people (including babies) there is a substantial discount but only one of the houses will be accessible. The other will simply be closed and not rented to other parties. 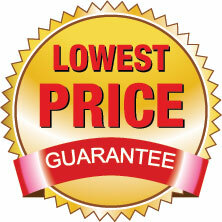 Our online quotation system will give you the option to select the discount if applicable. A refundable security bond (against any damages) may also be charged depending on the size and make up of the group. - Entrance hall leads to the spacious open plan living/dining area. Patio door leads to terrace and pool. - Separate TV Lounge with Flat screen TV and DVD. - Fitted dining kitchen complete with dishwasher,oven, hob, fridge freezer, microwave oven, coffee maker, toaster etc. Patio door leads to pool area. - Guest cloakroom with shower. - Bedroom 1: Master-bedroom with super kingsize bed fully fitted with ensuite shower-room. Additional double sofa bed (to sleep one adult or possibly 2 small children),. Patio door leads to shared balcony. - Bedroom 2: Kingsize-bed bedroom fully fitted with ensuite shower-room. Patio door leads to shared balcony. - Bedroom 3: Twin-bed bedroom fully fitted. - House bathroom fully fitted. - Bedroom 4: Kingsize-bed bedroom with TV fully fitted. - Seperate TV Lounge with Flat screen TV and DVD. - Bedroom 1: Master-bedroom with kingsize bed fully fitted with ensuite shower-room. Patio door leads to shared balcony. - Bedroom 2: Triple-bed bedroom (3 single beds) fully fitted with ensuite shower-room.. Patio door leads to shared balcony. - Bedroom 4: Double-bed bedroom fully fitted. - Private swimming pool 11m x 5m with Roman steps and ladders - depth 1m to 1.8m. - Sun beds and parasols. - Shaded and sunny terraces furnished for al fresco dining. The village of Frenaros has a choice of tavernas, restaurants and bars serving Cypriot and English food. The local butchers and bakery are very favourably reviewed plus shops, banks and a supermarket. The beaches and towns of Protaras and Ayia Napa are only a 10 minute drive away. We are pleased to offer this villa for wedding ceremonies / receptions / and other functions. Refundable security bond for all functions £500 payable with balance. Function cost £500 payable locally. Watch this short video of our Cyprus villa Orchard-Blossom! Villa Orchard-Blossom is in the resort of Frenaros within the FAMAGUSTA-DISTRICT of Cyprus. Please click on the links to see more useful information on the resort the District and the Country (including contacts for local activities and places to eat, places to shop etc) . To get up-to-date comprehensive travel advice for any destination, including Cyprus, the Foreign & Commonwealth Office (FCO) advice (available here) covers vital issues about travelling abroad, including passports, visas, health, safety and security and more. Please continue to check this link for up-to-date information until you travel. To rent villa Orchard-Blossom, first click on the red button "Price & Availability" for an instant online rental price quotation for your dates. At the end of the quote you will be given the option to put a NO obligation hold on this In-Resort, Luxury, Rural, Secluded, Wedding 8 bedroomed holiday home in Frenaros, Cyprus. Loss of Booking Deposit (Rental Deposit plus Service Fee) if cancelled more than 10 weeks before the start date. 50% of rental if cancelled 5 to 10 weeks before the start date. 100% of rental if cancelled less than 5 weeks before the start date. Admin/Banking charges apply on all cases, as per terms. If it helps, please feel free to make multiple online payments (by card or bank transfer - minimum £100) before the balance due date. You will get an updated statement every time and there will be NO admin fees from us. For the best possible offer, click on the "Price & Availability" button and enter your dates. Number of people (adults + children + infants). We can hold this villa for you (provisionally block your dates off) for up to 48 hours to allow you to sort out your travel arrangements. No obligation! If your proposed booking leaves unrentable periods (less than 7 days) between existing bookings it may not be accepted by the owners, particularly in the peak season. If you have no flexibility on your dates or you are not sure, try it anyway! We will soon let you know. Most liked: We really enjoyed our stay at Orchard-Blossom. It was so perfect. The location is just right to be a little bit out the way. We were only 10/15 mins by car to the nearest towns. Ayia Napa was to the left and Portoras to the right. Any problems we had in the villa were always sorted efficiently by the owners and their teams. I would recommend these villas to any large group booking. Least liked: Nothing! Was amazing. Most liked: Villas are absolutely huge, all the bathrooms and facilities spot on. Every single kitchen utensil or thing you could possibly need was included. Nice peaceful area, beautiful orchards. Best holiday me and my family have ever had! We had an amazing stay at the orchard blossom villa. The villa is exactly if not better then described by your website, it was extremely clean and comfortable and we as a family will definately return if we book to go cyprus in the future. Peter the owners father was very helpful and made sure we were happy with everything. I am really fussy and yet it meet all mine and my families expectations, so thank you for the great recommendation getaway villas..
In-Resort, Rural, Luxury, Secluded, Wedding.